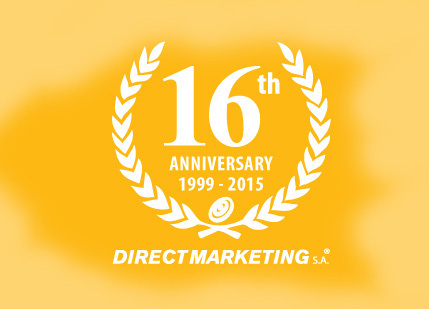 Notification | Direct Marketing S.A.
As Direct Marketing S.A. celebrates 16 years of continued service to brands, we take this opportunity to thank our valued clients for choosing us time and again as their partners in their marketing ventures. If it weren’t for your trust, we wouldn’t have been able to survive the crises that hit Lebanon and the region over the years. Because our promise has always been to provide high-quality services at a competitive cost, together, we have been able to use small budgets to create impactful and memorable events and campaigns. Thanks to your unwavering support, we have also been able to grow into the digital era, and develop original online campaigns in support of on-site activations. We have been able to expand our reach as well to take on regional and international consultancies, supporting clients with branding and marketing. Once again, we sincerely thank you all for helping us make the past 16 years so successful. We look forward to more creative partnerships and collaborations with you in the years to come.